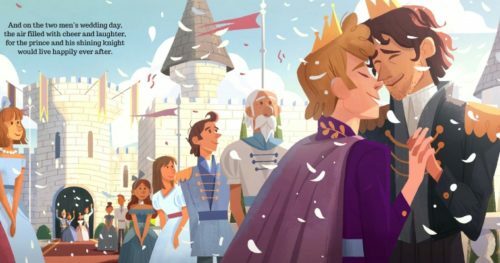 GLAAD and Bonnier Publishing USA have teamed up to create a children’s book that’s just in time for tomorrow’s royal wedding. While Prince Harry and Meghan Markle may be the ones tying the knot in England, a prince and a knight are two lovers in the appropriately named, Prince & Knight. The charming tale is written by Daniel Haack and illustrated by Stevie Lewis. Sounds adorable, right? But the story’s cuteness isn’t the most important part. The book is on sale at Amazon and Barnes & Nobles as well as independent bookstores.